Flat-topped pillar candle in a warm ivory shade. 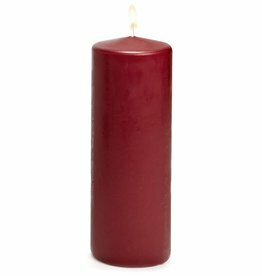 A great size for mixed candle displays or tall hurricanes. 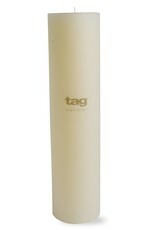 Tag logo wrap easily removes before use.